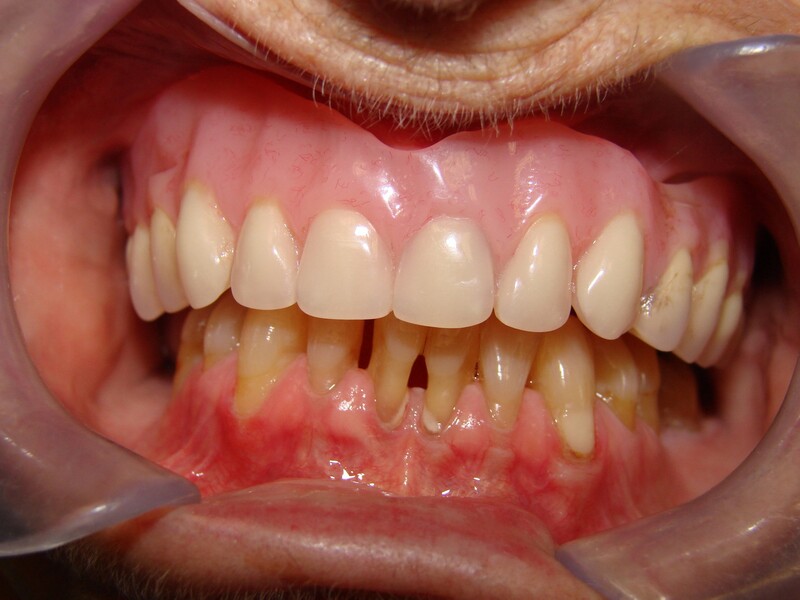 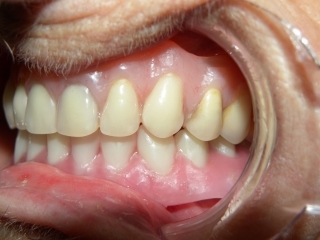 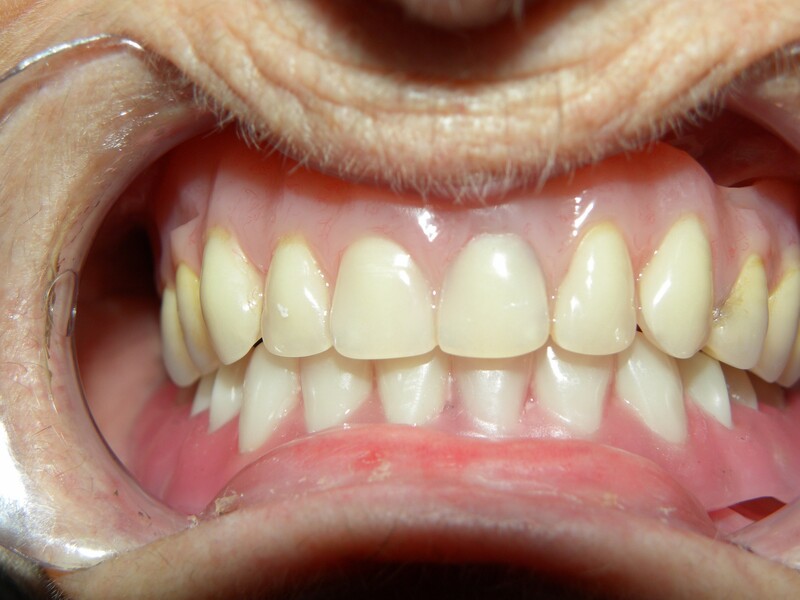 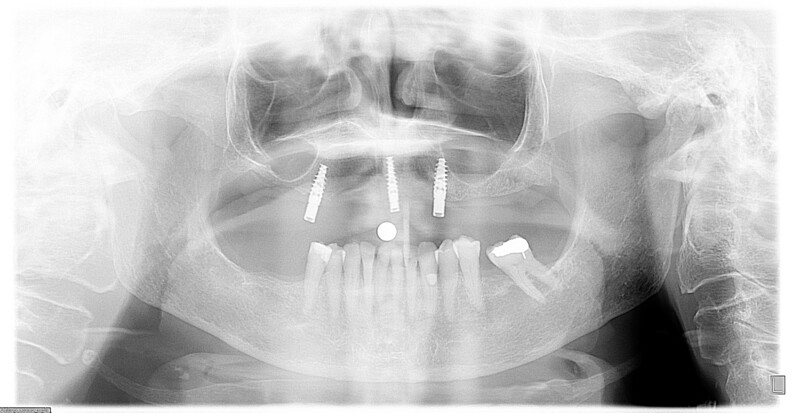 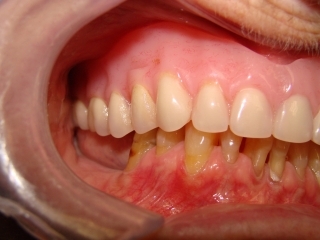 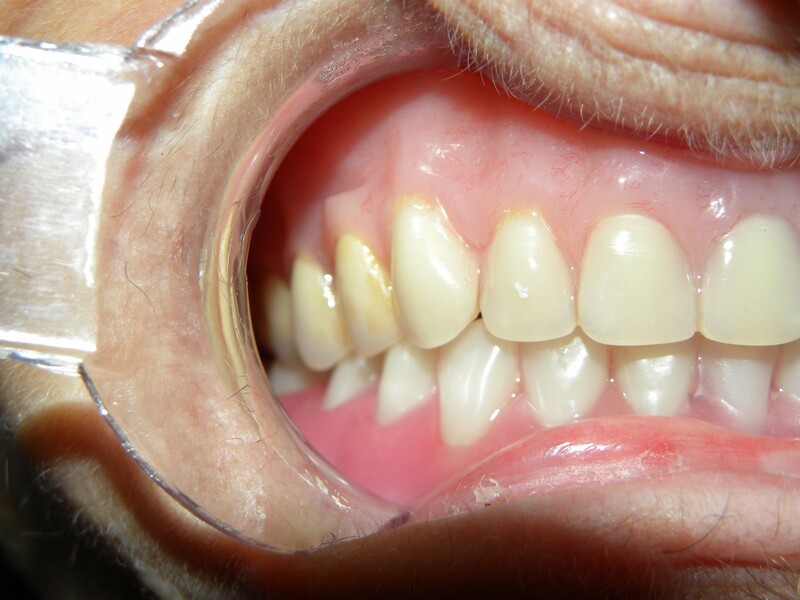 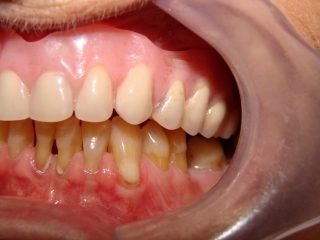 This is a wonderful case of a mature patient who has an existing upper denture supported by 3 implants. The denture on the upper arch is removed and cleaned after every meal and the patient is advised never to sleep with this denture. 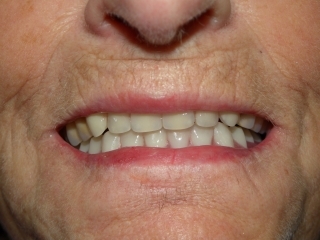 The lower arch has moderate bone loss with generalized mobility and sensitivity. 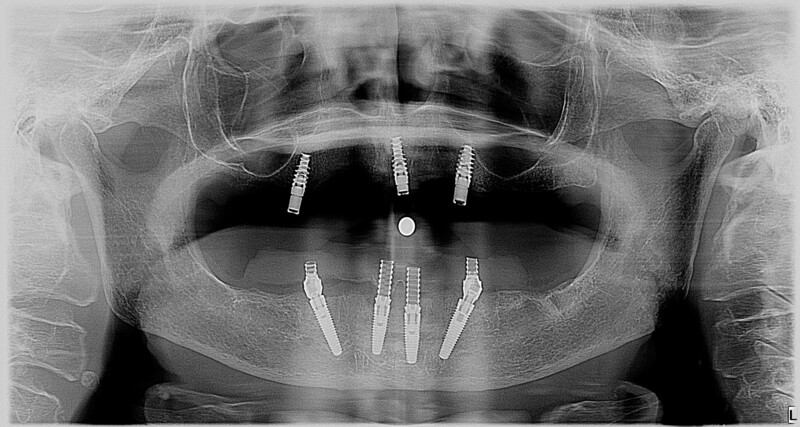 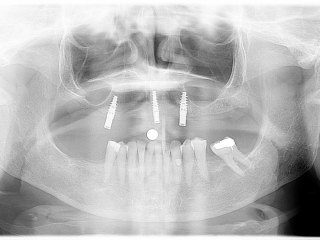 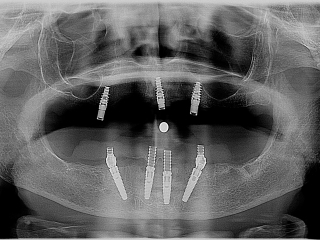 The treatment planned was designed such that the teeth would be extracted and 4 implants would be placed at same appointment. This technique is referred to as All-on-4 then a temporary long term over-denture is screwed into place. This is a very popular treatment because patients never go without teeth.